SKINS CYCLE DNAmic Half Tights will give your upper legs the compressive support and stability they need to climb and cruise like never before. 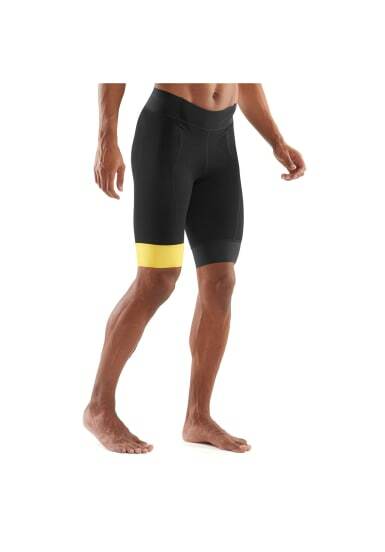 Featuring an Elastic Interface Technology premium chamois, moisture management wicking and eliminated inside leg seams to reduce friction, these cycle shorts are built for long-distance comfort. 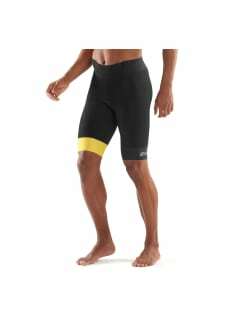 Wear these cycle shorts with a SKINS CYCLE Jersey Classic for an on-bike combo that’s geared for performance. SKINS most advanced compression technology increases muscle oxygenation, stabilises active muscles and reduces blood lactate build up, to enhance performance and reduce recovery time. The three dimensional shape of the Bastogne HP chamois supports the male anatomy, providing the perfect fit for favourable blood flow and saddle stability. It offers increased protection with a central channel in the perineal area with high density, perforated foams on each side for breathability. The foams are applied underneath for a comfortable, flush surface with close and continuous skin contact. It's the perfect chamois for long rides of 4 hours or more. 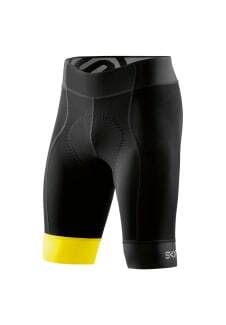 Biomechanically positioned panels and seams support and stabilise the upper legs to reduce fatigue and risk of injury.